Moving abroad is a big undertaking on its own; there are a lot of things to prepare before you can leave for the destination country and move to your new home there. Moving the entire family abroad is even more challenging, especially when you have children. The key to making the whole process more manageable is careful planning. By going into the details and preparing for everything, you can actually move to a new country without excessive hassle along the way. These tips and tricks will help make the process of settling in easier. Moving to a new country is a daunting thing to do. The process will seem scary for one particular reason: you don’t really know what to expect. A few years ago, there was not much you could do. You just had to follow through with the relocation and adapt to the changes you experienced. Today, however, you have the full force of the internet on your side. 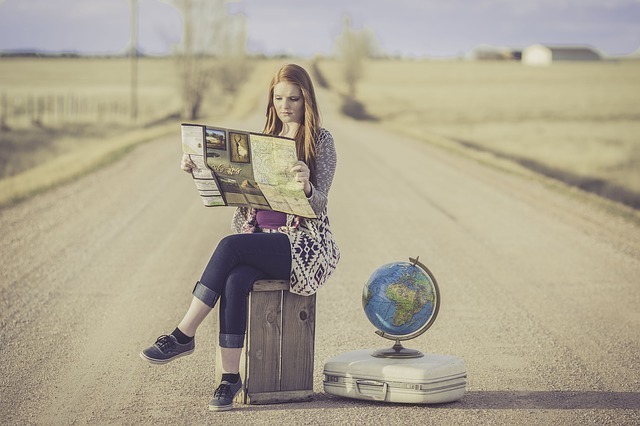 There are expat forums that allow you to connect with other expats near to where you are relocating, even before you start the moving process. You can also find plenty of information on the destination city or neighborhood. Make sure you do plenty of research before the big day. You want to collect as much relevant information as you can so that you can prepare better for the actual move. Don’t forget to research things related to the children too. It is also important to remember that you don’t have to do everything yourself. It is a big challenge to overcome and the best way to overcome this challenge is by getting the best help along the way. You certainly have your partner involved in the move. If the children are old enough, they too can help with preparing for the relocation. In fact, you can get them excited about moving to a new location by getting them involved early. There are also services that help make the whole process less of a hassle. For example, you can find a good maid in Bangkok to help with cleaning and other household chores while you adapt to the new house after the move. Services like this are a worthy investment to make. Last but not least, make sure you stay on top of the moving process. You don’t have to do everything yourself and you definitely don’t have to do everything all at once; actually, you shouldn’t. At the beginning of the moving process, write down all the tasks you need to do before the actual moving day. Prioritize those tasks based on things like how much time will it take to complete them and organize everything. Start tackling the tasks from the top of your list and work your way towards completing all of them. You may even have the option to move, and then return to finish the other tasks (i.e. renting the house out to a tenant or selling it) you still need to do. Either way, prioritizing really helps and the list will help you get through the relocation process without extra hassle. Combined with the other tips we discussed in this article, moving abroad will be a challenge you can overcome easily.